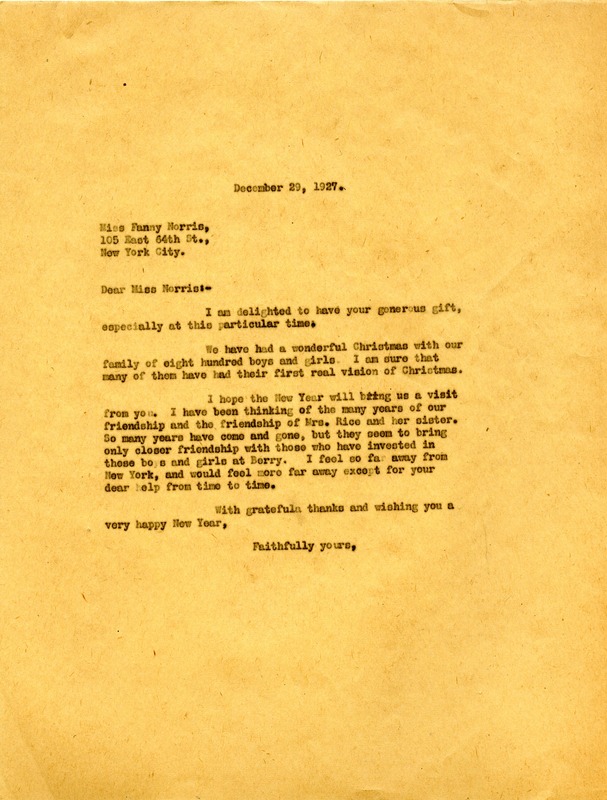 Martha writes to Miss Norris thanking her for gift during the Christmas time for the 800 boys and girls. She hopes the New Year will bring a visit from Miss Norris. Miss Martha Berry, “Letter to Fanny Norris from Martha Berry.” Martha Berry Digital Archive. Eds. Schlitz, Stephanie A., Aaron Jackson, et al. Mount Berry: Berry College, 2012. accessed April 24, 2019, https://mbda.berry.edu/items/show/5212.